Spitfire was beloved by many. The young wolf was often spotted at Yellowstone National Park, much to the delight of wolf enthusiasts, biologists, and tourists. Sadly, future park-goers will never catch a glimpse of Spitfire. The Montana Department of Fish, Wildlife and Parks just confirmed that she was cruelly killedby a trophy hunter. What’s even worse is that her murder was completely legal. Spitfire had wandered just outside of the park, where she was no longer protected. Please sign this petition calling for a no-hunting buffer zone around Yellowstone National Park to protect more animals from being senselessly killed for sport. Spitfire’s mom met a similar fate six years ago, leaving Spitfire as the new leader of the Lamar Canyon Pack. According to wolf lovers, she “led her pack through a number of very difficult circumstances” and “showed incredible strength, courage and resilience in everything she did.” Now she’s gone, and the Lamar Canyon Pack is yet again without a leader. It’s not uncommon for animals to roam just beyond national park boundaries — which is why their protection should be extended. Sign now to demand buffer zones around Yellowstone National Park. A proposal to strip gray wolves of federal protections could curtail their rapid expansion across vast swaths of the U.S., yet the predators already are proving to be resilient in states where hunting and trapping occur. The Interior Department on Thursday declared gray wolves recovered across the Lower 48 states. If finalized, the proposal would allow hunting in more areas. The species has seen a remarkable turnaround — from near-extermination to more than 6,000 gray wolves spread across nine states. Critics say hunts could kill thousands of the animals and prevent their further spread. But in the Northern Rockies, where legal wolf harvests began a decade ago, the animal’s numbers have held relatively steady and packs have expanded west into Oregon, Washington and California. U.S. wildlife officials want to strip gray wolves of their remaining federal protections and declare the species recovered following a decades-long restoration effort. The U.S. Fish and Wildlife Service proposal released Thursday would put wolves under state authority and allow hunting in more areas. The Associated Press reported last week that the proposal was coming. Critics argue the move is premature, with wolves still absent across most of their historic range. Government officials say their goal was to protect against extinction, not restore wolves everywhere. Trapping, poisoning and hunting exterminated wolves across most of the Lower 48 early last century. They bounced back under federal protection, and more than 6,000 now live in portions of nine states. A final decision on lifting protections will follow a public comment period. Wolves could be hunted at night and traps set along seasonally closed roads under a pair of bills brought by a northwest Montana lawmaker Thursday. Rep. Bob Brown, R-Thompson Falls, brought House Bills 551 and 552 to the House Fish, Wildlife and Parks Committee. The first bill would allow nighttime wolf hunting, making them the only big game animal that could be hunted outside of daylight hours. Other nongame animals such as coyotes and skunks already may be hunted at night. “I know this is going to be a kind of an unpopular thing,” Brown acknowledged after several wolf bills have already brought strong debate this session. But many of his constituents in northwest Montana have been outspoken about reducing wolf numbers, he said. The bill saw support from two individuals who described it as “another tool in the toolbox” to manage wolves. Garrett Bacon testified that it would help key in on problem wolves by allowing hunting when they are most active and possibly preying on livestock. Scott Blackman also testified in support and believed the number of hunters that would focus on hunting wolves at night would be limited to a few serious individuals. Several conservation groups testified in opposition on topics ranging from ethics to safety. “We feel hunting any game animal at night is unethical,” and won’t help the image of hunters, said Nick Gevock with the Montana Wildlife Federation. Marc Cooke with Wolves of the Rockies agreed with the ethical concerns but also noted that shooting at night raises safety issues with identifying a target and beyond. Montana Fish, Wildlife & Parks testified in opposition, echoing the concerns of others as well as the propensity for poaching at night, which is often associated with spotlighting. Brown’s second bill, SB 552, was borne out of what he sees as difference in opinion about what constitutes a closed road when it comes to trapping and particularly the trapping of wolves. Along open roads and trails, trapping regulations require traps be set a certain distance away. Called a “setback,” the distance is intended to reduce conflicts with other recreationists, particularly those with dogs that may be unintentionally caught. Traps for most animals must be set 50 feet from a road or trail while wolf traps require a 150-foot setback. Under the bill, setback regulations would not apply to roads closed year-round to highway vehicles nor would they apply to seasonally closed gated roads for wolf trapping. The setback regulations currently apply to seasonally closed roads. Brown said he believed the definition of a closed and open road should be made by legislators rather than the Montana Fish and Wildlife Commission, and that many of the gated roads are in the high country that sees lower use by other recreationists. He also noted that while the areas in question are public land, pet owners “also need to take responsibility for their pets” when venturing out in wolf habitat and where trapping is taking place. KC York with Trap Free Montana Public Lands disagreed, holding up a wolf trap and saying “Traps hold our public lands hostage,” and adding that a great deal of work went into establishing setbacks. Art Compton with the Sierra Club felt that roads closed year-round should be the last place to lift setbacks, as recreationists such as skiers and snowshoers seek those areas out to get away from motorized users. Brown closed on the bill by noting that many miles of ungated roads would still fall under the setback regulations and reiterated responsibility. “(We’re) asking some responsibility from trappers in many cases and I think we need to ask some responsibility from pet owners,” he said. The committee did not take immediate action on the bills. The Tribal Wildlife Management Program announces the scheduling of a Gray Wolf trapping class for CSKT Tribal members who plan to participate in 2018-2019 trapping activities for Northern Gray Wolves. Lands within the exterior boundaries of the Reservation are sectioned into three Wolf Management Zones – the Northwest, South, and the Mission Zone. The general hunting season for wolves opened on September 1st in all three Zones and will extend through April 30, 2019 within the Northwest and South Zones. The Mission Zones hunting season will close on March 31, 2019. Trapping season for the all three Zones will commence on December 1, 2018 and extend through April 30th, 2019 within the Northwest and South Zones, and close on March 31, 2019 within the Mission Zone, to avoid potential captures of non-target bears. Tribal members must also follow Tribal off-Reservation wolf hunting and trapping regulations when hunting or trapping wolves in open and unclaimed areas, which are generally recognized as U. S. Forest Service lands. Trapping regulations approved by the Tribal Council included the provision that potential trappers attend an informational class on wolf trapping if they have not previously attended a similar class conducted by Montana Fish, Wildlife and Parks. Proof of completion of a wolf trapping class, through the Tribal Wildlife Management Program or Montana Fish, Wildlife and Parks must be presented to the Tribal Fish and Wildlife Permits Office to receive a wolf trapping permit. The scheduled Tribal informational class will cover topics such as Tribal wolf trapping regulations, appropriate trapping equipment, required marking of traps, setting and checking traps, minimizing the potential to capture non-target species, trapping reporting requirements and properly caring for trapped animals. If trappers would like the trap pan tension of their traps tested, they should bring their traps to this informational class or make alternate arrangements with the Tribal Wildlife Management Program. Members of the Tribal Wildlife Management Program staff will conduct this informational class on Wednesday, December 12th from Noon to 1:30 pm @ the Mission Valley Power conference room. Please contact Stephanie Gillin, Wildlife Biologist at the Tribal Wildlife Management Program by phone at (406) 675-2700, extension 7241 or by email at stephanie.gillin@cskt.org to sign up. One of Yellowstone National Park’s most popular wolves has been shot dead by a trophy hunter. 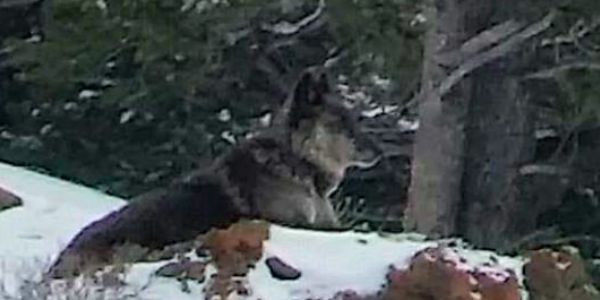 Spitfire, also known as Wolf 926F, was killed legally a few miles outside a park entrance in Montana, according to animal rights group Wolves of the Rockies. The organisation shared the news on its Facebook page on Wednesday. Spitfire was previously the alpha female leader of the Lamar valley wolfpack. Her mother was also killed by a hunter in 2012 and Spitfire was credited with keeping the pack together after her death. Both animals were stars in an area described by Yellowstone officials as a “wolf-watching mecca”, which attracts animal lovers from all over the world. The hunter who killed Spitfire was acting legally according to The Dodo, as it is currently hunting season for wolves in Montana, Idaho and Wyoming, the states that Yellowstone covers. Wolf hunting licences in Montana cost just $19 (£15) for residents and $50 (£39) for others, according to the Wolf Conservation Centre. The predators were reintroduced in Yellowstone in 1995 but remain at the centre of a debate in the US between conservationists who argue that the US wolf population needs protection, and hunters and farmers who argue that rising predator numbers are out of control. Wyoming hunters were successful tracking down and killing smart, stealthy wolves as the season began Sunday. A dozen wolves were legally harvested in the first 40 hours of the three-month season. It’s a number that amounts to over a quarter of the total wolves that can be killed in the state’s managed hunt area. Wyoming Game and Fish Department carnivore manager Ken Mills attributed the considerable success to the opener falling on a weekend, winter weather pushing lots of sportsmen into the field, and also a species that may temporarily have lost its fear of mankind. Wolf hunters found swift success in Upper Green River country, where they exceeded a three-animal quota by one and triggered the closure of the zone Sunday. Wolves were also killed Sunday and Monday around Jackson Hole. 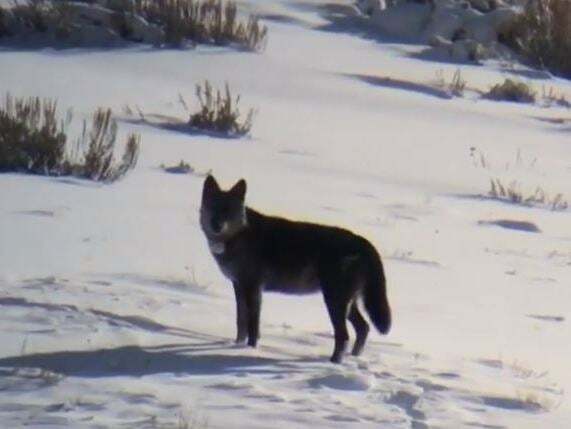 Game and Fish harvest reports showed one wolf killed in area 8, which encompasses the Leidy Highlands and has a quota of seven animals. A hunter also was successful in area 10 southeast of town, which runs from Cache Creek to past Bondurant. In its “trophy game management area,” Game and Fish is permitting a total of 44 wolves to be killed in a season that ends Dec. 31. Technically, there is no statewide limit on the number of wolves that can be hunted in Wyoming. That’s because of an expansive area outside the Greater Yellowstone Ecosystem where wolves are managed as a predator that can be killed by any means throughout the year. Some 17 wolves, as of Monday afternoon, had been reported killed in that zone since Wyoming gained jurisdiction over its wolf population this spring. Wolf hunting opened with a relative bang, judging by the pace of harvest in years past. The state’s first modern-day wolf hunt dates to 2012, a year hunters managed to kill four animals in the first 40 hours of the season, according to the Jackson Hole News&Guide archives. The next year, 2013, hunters shot three on the opener. There’s been a wolf hunting hiatus in the Equality State ever since, owing to a 2014 court decision that fell a week before the wolf hunting season would have started. Two and a half years later, a U.S. Court of Appeals’ opinion overturned the ruling. Game and Fish’s intent for the wolf hunt is to slightly reduce the population, last estimated at 380 statewide. A little over half those animals are believed to reside in the trophy game area that just opened to hunting. Another approximately 50 animals were thought to live in the predator zone. The balance of Wyoming’s wolves — an estimated 117 animals — live in Yellowstone National Park and the Wind River Indian Reservation, where hunting is not allowed. It is wolf hunters’ responsibility, Mills said, to check to make sure the hunt area they set out for is still open. Game and Fish has 12 wolf hunting units, and each closes individually as its quotas are met. Harvest reports are updated “constantly,” he said, and posted online at WGFD.wyo.gov. Originally aired on November 28, 2017. When Alberta grey wolves were introduced into Yellowstone National Park in 1995, not everyone who lived around the park howled with delight. Wolves had been absent from the area since they were killed by hunters in the 1920s. 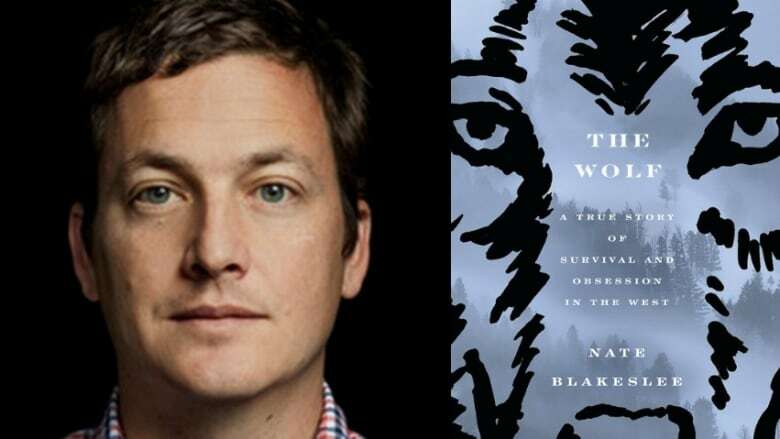 “Because so much of that land is controlled by the federal government, you see this us versus them, this local control versus intrusive federal bureaucrats — at least that is how it is cast in the West,” says Nate Blakeslee, author of The Wolf: A True Story of Survival and Obsession in the West. “The ranching industry is so powerful there, the hunting industry is so powerful there, all those state legislatures were largely opposed to reintroduction, even though a number of people there were very excited about it,” Blakeslee tells The Current’s Anna Maria Tremonti. While wolf experts initially thought the wolves would be pretty invisible to humans, living deep in the park, some of the packs lived in open areas easily watched by nature enthusiasts. And of those wolves, none was more loved or photographed than an alpha female called O-Six, who lived and hunted close to humans. “She was a grey wolf. She had uncommonly attractive facial markings, sort of this owl-like mask around her eyes,” says Blakeslee. The wolves of Yellowstone were free to hunt and roam the area safe from hunters until 2012 when they were removed from the endangered species list. Any wolf that left the safe confines of the park itself became a potential target for hunters. “‘O-Six sadly did leave the park during that first legal hunting season,” Blakeslee says. After she was shot, the rest of the wolf pack came out of the woods and circled their fallen leader. And then they began to howl. “What is the value of one wolf’s life?” Blakeslee asks. Listen to the full conversation near the top of this page. This segment was produced by The Current’s Howard Goldenthal. The Trump administration is moving to reverse Obama-era rules barring hunters on some public lands in Alaska from baiting brown bears with bacon and doughnuts and using spotlights to shoot mother black bears and cubs hibernating in their dens. The National Park Service issued a notice Monday of its intent to amend regulations for sport hunting and trapping in national preserves to bring the federal rules in line with Alaska state law. Under the proposed changes, hunters would also be allowed to hunt black bears with dogs, kill wolves and pups in their dens, and use motor boats to shoot swimming caribou. These and other hunting methods — condemned as cruel by wildlife protection advocates — were outlawed on federal lands in 2015. Members of the public have 60 days to provide comment on the proposed new rules. Alaska has 10 national preserves covering nearly 95,830 square kilometers. The Alaska Department of Fish and Game was “pleased to see the National Park Service working to better align federal regulations with State of Alaska hunting and trapping regulations,” Maria Gladziszewski, the state agency’s deputy director of the Division of Wildlife Conservation, said in an email to the Associated Press. Gladziszewski said the state doesn’t conduct predator control in national preserves. “Predator control could be allowed in preserves only with federal authorization because such actions are subject to NEPA (National Environmental Policy Act) review,” she said. Expanding hunting rights on federal lands has been a priority for Interior Secretary Ryan Zinke, a former Montana congressman who displays a taxidermied bear in his Washington office along with mounted heads from a bison and an elk. The Obama-era restrictions on hunting on federal lands in Alaska were challenged by Safari Club International, a group that promotes big-game hunting. The Associated Press reported in March that Zinke had appointed a board loaded with trophy hunters to advise him on conserving threatened and endangered wildlife, including members of the Safari Club. President Donald Trump’s sons are also avid trophy hunters who have made past excursions to Africa and Alaska. Collette Adkins, a lawyer and biologist with the advocacy group Center for Biological Diversity, expressed outrage at the rollback. “Cruel and harmful hunting methods like killing bear cubs and their mothers near dens have no place on our national preserves,” she said. The Humane Society of the United States said it would oppose the new rules. WYOMING – Wyoming Game and Fish Department is proposing an increase to the wolf mortality limit for the grey wolf 2018 hunting season. After a successful season last year where the 44-wolf quota was met, officials at WGFD would like to see the harvest targeted at 58 now, as they say the population is thriving and exceeding all criteria established to show that the species is recovered. The total minimum population of wolves in Wyoming living outside of Yellowstone National Park and the Wind River Reservation at the end of 2017 was 238, with 198 in the Wolf Trophy Game Management Area. The proposed mortality limit for 2018 is expected to result in an end of year population of around 160 wolves in the trophy game area, similar to the 2017 wolf hunting season. The draft regulation for the 2018 wolf hunting regulation is now available for public comment. It includes the allocation of higher hunt area quotas in those areas where wolf conflicts with livestock are high or in areas where wolves are impacting big game populations. Written comments will be accepted through 5pm June 4 at public meetings, by mailing: Wyoming Game and Fish Department, Regulations, 3030 Energy Lane, Casper, WY 82604 or online at http://wgfd.wyo.gov. Copies of the proposed regulations are available on the Game and Fish website and at the address above. Written comments will be presented to the Game and Fish Commission prior to the public hearing at its July 10-11 meeting in Laramie at the Game and Fish Office. 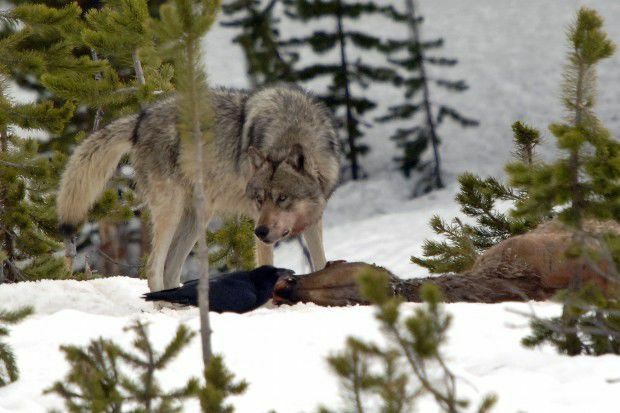 A wolf watches park visitors as it feeds on a elk carcass near the road in Yellowstone National Park in this June 2008 file photo. The return of hunting wolves has trimmed their numbers, but not as high as state goals. JACKSON — Hunting’s return to the landscape slashed the number of wolves in Wyoming last year, though not to the degree wildlife managers sought. Wyoming’s goal was to cut its wolf population by nearly a quarter in places in which the state has control, but only a 16 percent reduction was accomplished. The reason managers missed the mark, Wyoming Game and Fish Department wolf biologist Ken Mills said, is there were more wolves than expected. Hunters would have been allowed to target more wolves, he said, if those animals were identified ahead of an annual report that informs hunting seasons. The annual census of Wyoming’s wolves, published Wednesday, found there were 347 animals thought to roam the Equality State as the calendar turned to 2018 — down 30 from a year ago. Yellowstone National Park’s population, 97 animals, remained about the same, as did the number of lobos calling the Wind River Indian Reservation home. The most significant changes came in areas where Wyoming authorizes hunting, where the population fell from 285 to 238. A managed “trophy-game” hunting area in the Greater Yellowstone Ecosystem’s interior housed 198 wolves at the end of the year. Another 40 of the large canines roamed the remainder of Wyoming, where wolves are managed as pests and can be killed indiscriminately. In both areas combined, 77 wolves were killed last year. Groups like the Center for Biological Diversity view the calculated, hunting-driven population decline as a travesty. “Wolves won’t persist outside Yellowstone National Park if Wyoming continues to eradicate them at this appalling pace,” said Victor, Idaho, resident Andrea Santarsiere, an attorney with the center. Mills sees it differently. Wyoming’s population, he said, is well above federally required “recovery” requirements: 50 wolves and five breeding pairs in Yellowstone and 100 animals and 10 breeding pairs outside the park. The wolf biologist noted the number of breeding pairs in the state increased over the last year, from 18 to 19. A lawsuit caused Wyoming to lose control of its wolf population from 2014 to spring 2017, during which time the Endangered Species Act protected lobos from hunting and populations hit record highs. 2016 was the most conflict-prone one for wolves and livestock since the native carnivores were reintroduced to the region 23 years ago. Twenty-five wolf packs killed 243 sheep, cattle and horses, and 113 wolves were killed in retaliation. The numbers fell last year, with 191 wolf-suspected livestock deaths and 61 lobos killed in response.